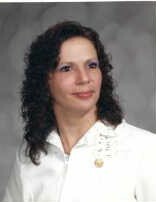 Cassandra N. Welch, age 66, passed away Saturday, December 22, 2018. Born March 7, 1952 to the late James and Frances (nee Kowalski) Petty, Sandy lived her life in the Cleveland. A Registered Nurse by profession, she worked at several hospitals and medical care facilities throughout her career. She was a kind and gentle soul who selflessly enjoyed giving and doing for others. She is survived by her son, Jeffrey Braun; brothers, Allan and Bruce Petty; nephew, Steven Petty and her close dear friend, Patricia Forsythe. Private Family Services.